Stephanus Bernardus Buys obtained his BVSc degree in February 1968 at Onderstepoort Veterinary College and his MMed Vet (Bact) degree in 1983. His thesis was on the production of a Haemophilus paragallinarum vaccine suitable for South African conditions. He was a member and later chairman of the technical committee of the South African Poultry Association. He was one of the founder members of the Poultry Group of the SA Veterinary Association. He joined the Poultry Section at the Onderstepoort Veterinary Institute (OVI) in 1968 and later became head of the section. He joined the poultry industry as production veterinarian in 1982 and retired in 2000 as technical director of Early Bird Farms. He joined Avimune poultry practice as technical advisor and at 75 is still part of this practice on a part-time basis. Stephanus isolated Haemophilus paragallinarum for the first time in South Africa in 1969 and in 1975 developed a commercial H. paragallinarum oil vaccine that is still in use. He was first to isolate the meta-pneumovirus causing Turkey Rhinotracheitis in 1978. At present several serotypes have been isolated in many countries. 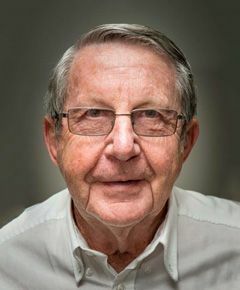 His findings were published in Turkey 1980, presented as a paper at WVPA Congress in 1989 and in the Onderstepoort Journal of Veterinary Research 1989. In 1988, while practicing as a production veterinarian with a broiler producer, he isolated a virus from broilers with swollen heads (Avian Rhinotracheitis) that also turned out to be a meta-pneumovirus. J. South Africa Veterinary Association 1989. He presented a paper at the 2001 Western Poultry Disease Conference on the transmission of Newcastle disease virus on the shells of embryonated eggs to the offspring. He has published 15 scientific papers and numerous lay press publications and was honoured as Poultry Man of the Year in 1992 for his contribution to the growth of the poultry industry in South Africa. In the same year, he received a shield from the poultry group of the SAVA for work in poultry veterinary science. At The WVPA congress in Marrakech, Morocco in 2009 he was cited as one of 24 researchers who described a new poultry disease in the past 50 years. He received Honorary Life Membership of the South African Poultry Association in April 2011.